September rolls around every year and our house is never clean – why is that?! It feels like we just can’t keep up! This year I was ready. 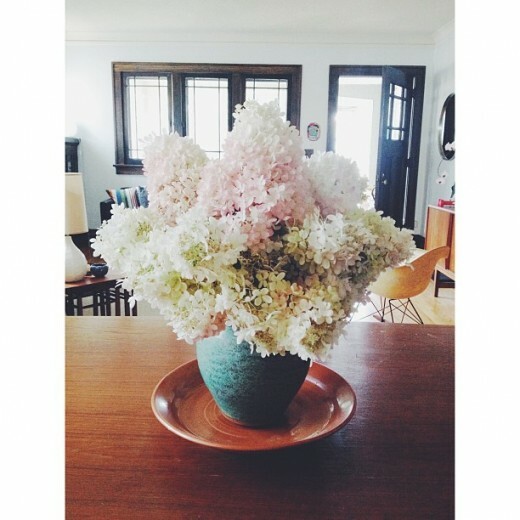 I cut those beautiful hydrangeas from our front tree and proudly displayed them in our clean house! Next phase of mission clean the f&%$ing house — BASEMENT. Posted at 8:49 am in House.